I have done a giveaway at the beginning of summer for my first book and thought I should end this glorious summer with one as well. So if you feel like you need some ideas for back to school. If you feel like you know what you are doing but are ready to make some changes. If you feel like there are things you want to do to give students more voice but not quite sure where to start, then here is the e-book for you. In a time when much of education is dictated by curriculum standards and mandated behavior management programs, Pernille offers a fresh perspective on what learning is like from the student perspective. From her asking the question, “would you like being a student in your own classroom?” to her ideas about grading and homework, she offers a vision of truly student-centered education. She does not offer a method or a step-by-step guide to changing one’s teaching. Instead, she empowers teachers to reflect on their experiences, on research, and on their current level of comfort with innovation. 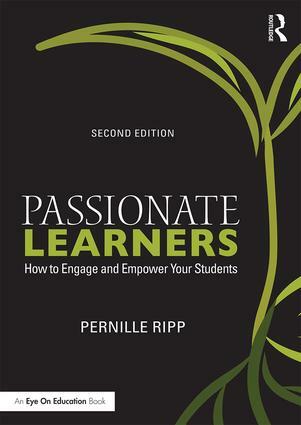 After this reflection, teachers are ready to use Pernille’s ideas as a springboard to transform their own classrooms into ones that are truly student-centered. So what do you have to do to win? Simple, leave a comment, please leave your email, and let me know what you would like to change this year. I will only run this contest to Monday night, August 24th at 8 PM CST so that the winner has a chance to read the book soon. And if you don’t win, consider reading the book anyway. Wherever you are on your journey, I hope it helps move you forward. This contest has closed – the winner was….Erin Petley – thank you so much everyone for entering! Outside of class I’m really trying to get administration to understand the importance of the Art room curriculum and the need for longer class time, currently have 25 min classes! In class I’m offering more choice-based learning opportunities so students can find their voice. I’m transitioning to a new role this year, so everything will be new! I want to do more fun things as literacy coach, like giving away books at every PTA meeting and doing community-wide book clubs. I would like to increase the effectiveness of peer feedback in literacy circles! Your book would mean so much to my studies for my masters this year! I am teaching in an inner city school and going to allow my inquiry question to guide and transform my teaching this year. I am going to be focusing on moving my kids from just self-regulation of emotions to self-regulating their emotions for self-regulating learning; growing in their understanding of what they need to do to take hold of their learning choices and strategies so that school and learning can be more meaningful. 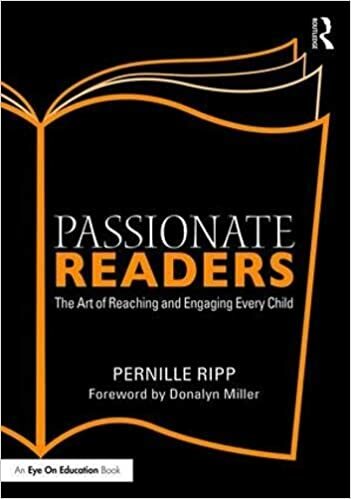 I think your book would be a huge springboard for me as I study about how best to open up my classroom teaching practices to them on a daily basis so that they can become more passionate about learning! I am a 1st year teacher eager to learn how to be an effective teacher and have fun with students while they are learning.